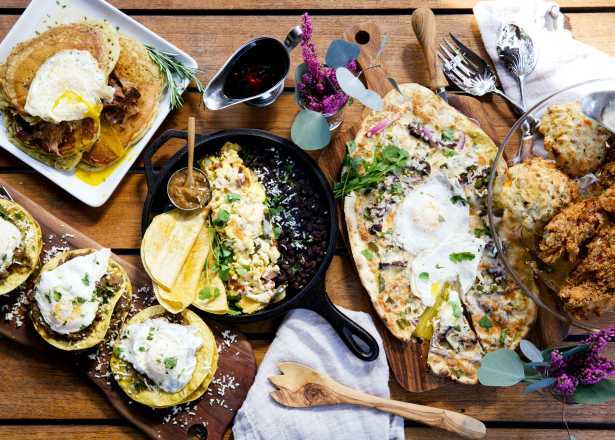 If a round of Bloody Marys and plates heaping with French toast and eggs Benedict is the picture of your ideal weekend, get yourself to one of the many Phoenix restaurants where cocktails and brunch are literally next level. Sip and nosh the way all well-heeled Southern belles and gents do by brunching at Southern Rail located at The Newton in uptown Phoenix. Offered Saturdays and Sundays, the weekend brunch menu puts a Southern twist on American classics such as the fried green tomato Benedict, and bread pudding French toast. For the full Southern experience, you can’t go wrong with the shrimp ’n super creamy grits, smoked chicken and grilled Andouille gumbo ya ya, or a traditional po-boy. Wash it down with a Nola milk punch (made with brandy, bourbon, milk, honey and vanilla) or a Creole lemonade (served in a Mason jar and made with rum, vodka, tequila, lemonade and hot sauce), and you’ll have Georgia on your mind all day long. 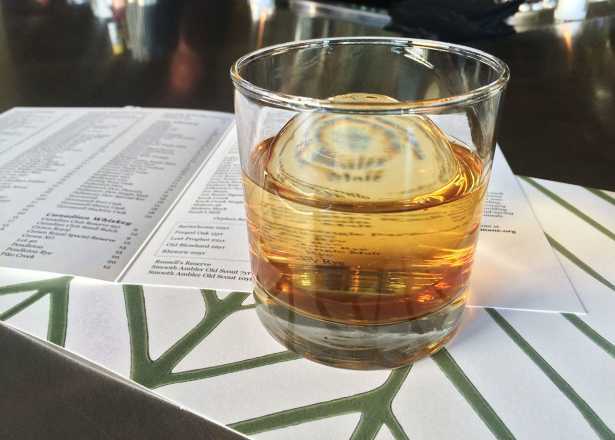 Tucked in the Biltmore area’s swanky Camby hotel, Artizen is as cool and hip as you’d expect from a place where tongue-in-cheek art melds with modern and elegant design. 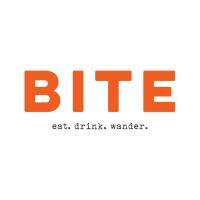 Specializing in classic American cuisine, brunch offerings lean toward the familiar, but with an elevated approach. Take the Dutch Baby, for instance, which features a traditional pancake served with vanilla whipped ricotta, mixed berries and Meyer lemon. But if it’s the drinks you’re after, the cocktail menu delivers. Try the Valley Julep (bourbon, grapefruit liqueur, simply syrup, mint), Skinny Dip (mescal, lime, punt e mes, pineapple, maple), or the Dry Heat (tequila, lime, agave, Cholula, grapefruit zest). At this central Phoenix mainstay, island delights are served in retro style, making Hula’s one of the more unique brunch spots in town. The menu is filled with tropical takes on favorite brunch offerings, from the ahi or island eggs Benedict, to the Loco Moco, a Hawaiian specialty featuring a burger patty served with rice covered in brown mushroom gravy and sunny-side up eggs. Even such sides as Portuguese sausage, fried Spam, and the apple and plantain compote will make you feel like you’re brunching on an island paradise. Cocktails—served in tiki glassware, of course—are inspired by the iconic Trader Vic’s and feature such signature drinks as Hula’s Mai Tai, Hula’s Hurricane and the Tropical Itch. 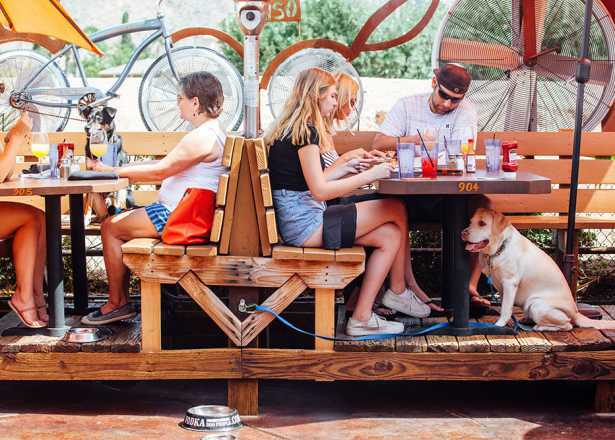 You can’t get any more “brunch” than at Ocotillo, central Phoenix’s lovely oasis with sprawling grassy areas, shaded outdoor patio and stand-alone coffee bar with walk-up service bar giving patrons an up-close view of the brewing magic. The substantial brunch menu offers everything from sweet and savory items, to fresh salads and vegetables—all made with local ingredients. Treat yourself to the matcha green tea and buttermilk pancake, breakfast chimichanga, or the salt Koji country ribs served with a watermelon salad and fried egg. Then share the cocktail love with a frozen margarita, mimosa, or (our personal favorite) frosé. We’ll drink to that! While brunch is meant to be decadent (think fluffy, buttery pancakes and crispy, salty slabs of bacon), the folks at Farm & Craft are putting a healthy spin on your favorite weekend meal. From the grilled veggie bowl, to the protein toast, to the egg white scramble with chicken sausage, this uptown Phoenix hotspot (with another location in Old Town Scottsdale) is all about doing your body good. Check out the indoor/outdoor bar serving organic spirits including fresh-pressed cocktails like the Watermelon Squeeze (Ketel Citroen, watermelon juice, lemon juice, agave nectar); kombucha cocktails made with rum, tequila, bourbon or gin; and health shots in cucumber, strawberry and blueberry. 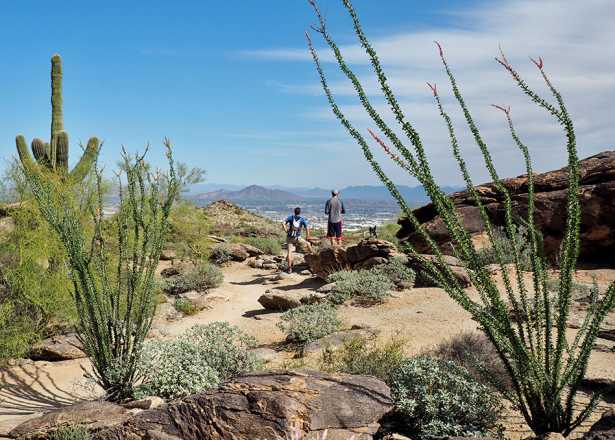 A Phoenix landmark, LON’s is the perfect place to brunch like a true Arizonan. 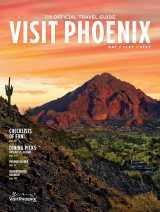 With its history dating back to the 1930s, the restaurant—located in the historic Hermosa Inn—showcases the best ingredients Arizona has to offer. Dishes feature greens from McClendon’s Select, bread from Noble Bread, produce from Abby Lee Farms, and olive oil from Queen Creek Olive Mill. 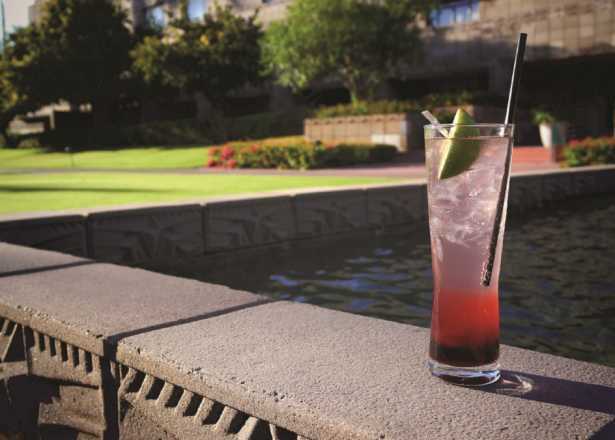 The drink menu also showcases Arizona spirits, such as the infamous Bloody Marys, made with infused AZ Mission vodka. And for the perfect refresher, the “Margs, ’Mosas & Mules” are finished off with a fruity, frozen puree bomb to stave off the summer heat. 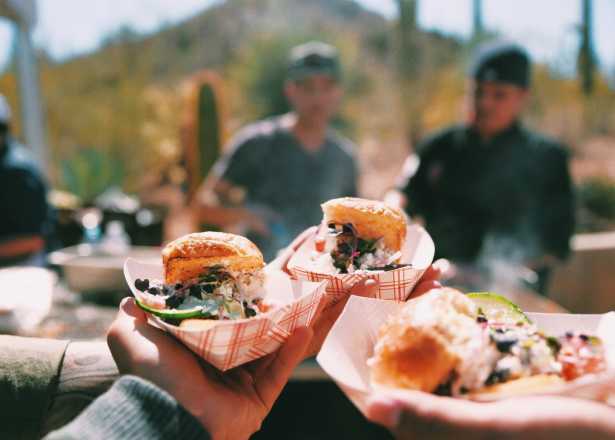 Flying inconspicuously yet oh-so successfully under the radar is Tuck Shop, a quaint neighborhood restaurant “tucked” in the historic Coronado district in central Phoenix. Here, traditional brunch is served, with the classics aptly represented—from the comforting steak and eggs and smoked salmon bagel, to the more adventurous pork belly Benedict and raspberry croissant bread pudding. The drink menu is equally intriguing with offerings indicated by numbers only. The No. 55, for example, is made with Charbay green tea vodka, herbal liqueur, lime, black cherry and thyme; while the No. 52 is simply made with Herradura blanco tequila, crème de cassis, lemon and champagne. These refreshing cocktails from local resorts and restaurants will hit the spot on a sunny day by the pool. 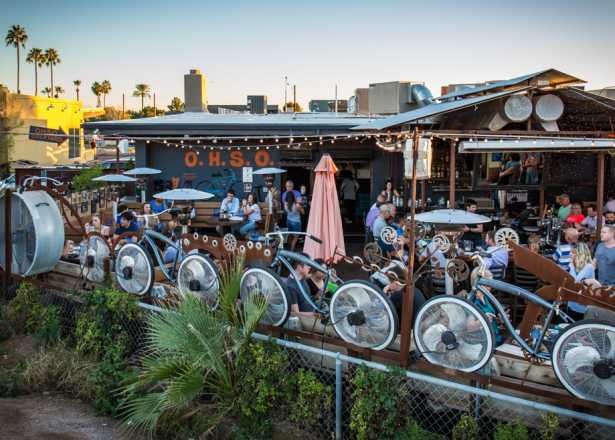 Soak up the sun (and stars) while dining and drinking on these Phoenix restaurant patios.